New Delhi: By analyzing the images of the journalist over the centuries we have a Perception that, Journalists educate the public about events and issues and how they affect their lives. Journalism is a part of our culture But The most important thing to understand about journalism is that its entire purpose is to serve the citizen, all the citizens of a democratic society. When you keep that in mind, you can better understand some of the more specific roles journalism plays. Deepak Chaurasia, One of the the most successful and Prominent journalist, News Anchor and chairman of India News. In 25 years long career as a journalist from Rs 5000 Job To 500 million Owner, Deepak Chaurasia indeed has a motivational journey. Will also be present on the occasion. “I wrote this book simply to tell everyone that nothing is a waste, we just need to look at it with the right perspective,” Chaurasia Said. I want people to read my book kuda dhan to make them believe that garbage and waste can be converted in to wealth for the nation. “in my 25 years long career as a journalist, the issue of cleanliness and environment has had the most provocative impact on my thought process. Heaps and heaps of garbage and waste and its impact on human health have become a matter of great concern for me. During Diwali last year, when the air quality if Delhi was severely affected i decided to dig out a solution to this monster called waste. I started to study about all types of waste and the available technology and their applications around the world,” he said. radiation is not very far from us in shape of E-waste,” added Chaurasia. 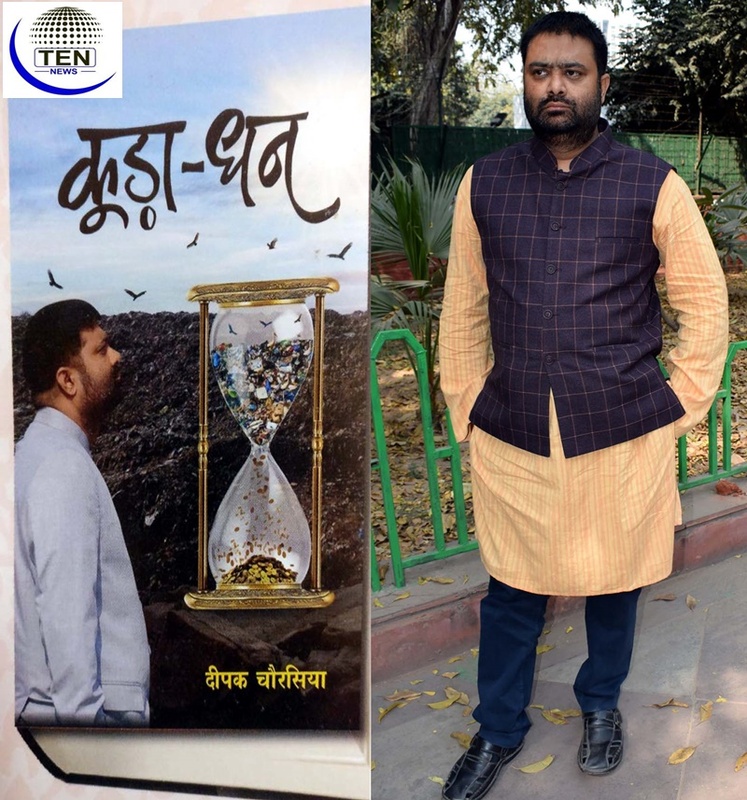 Journalist Deepak Chaurasia set to Release His First Book 'KUDA DHAN' in Capital!